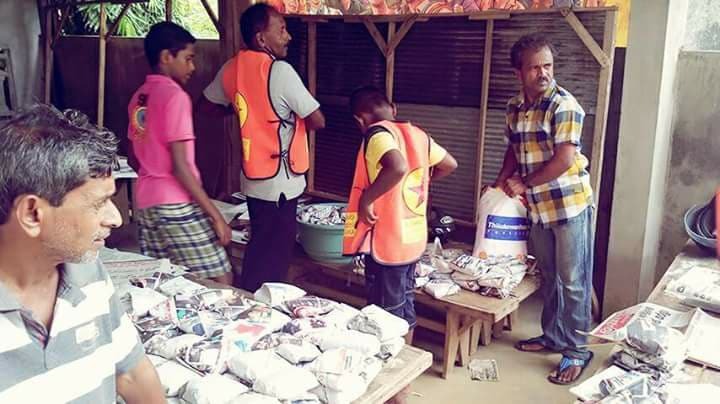 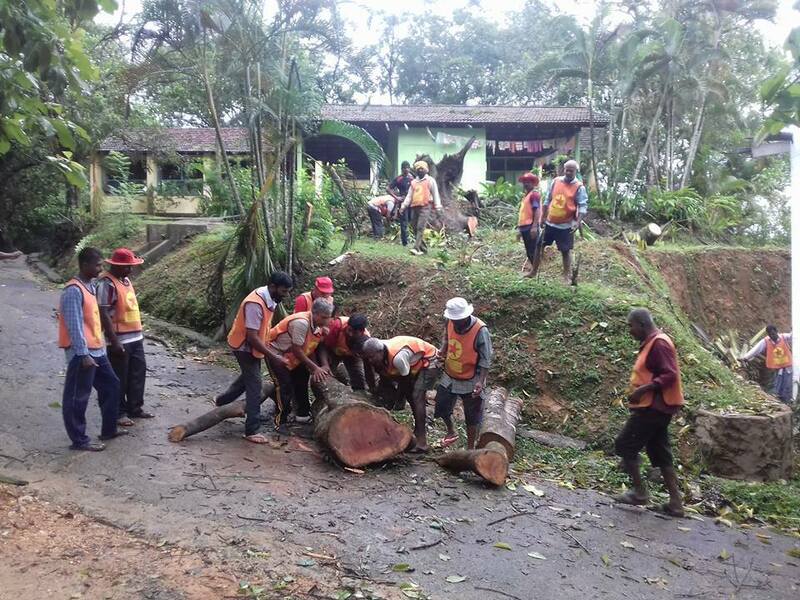 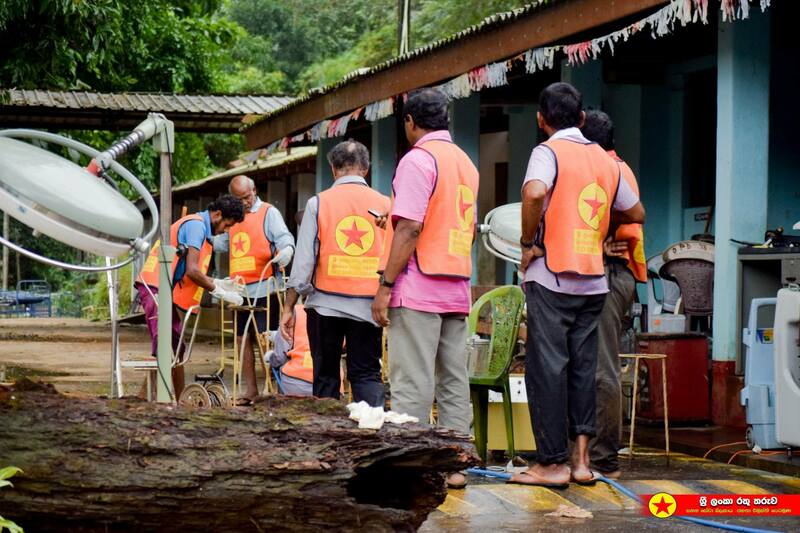 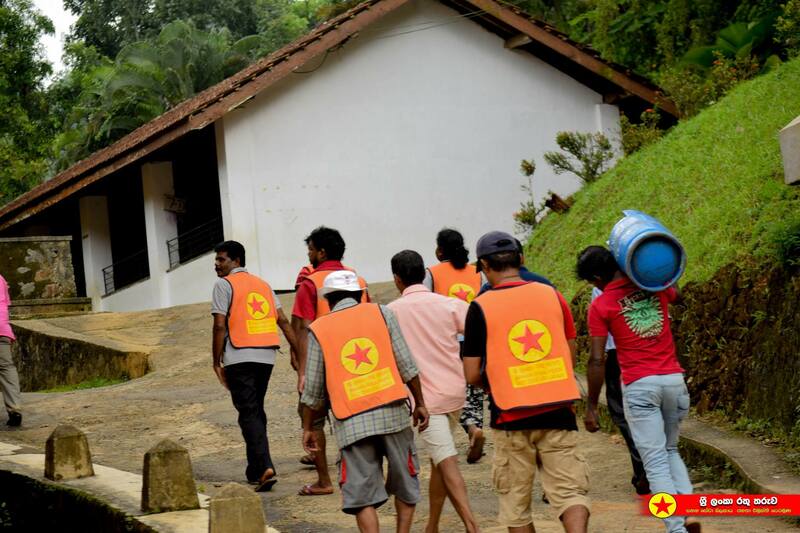 The members of ‘Red Star’ Relief Service Brigade of the JVP that has a history of engaging in relief work since the 80s began its relief work this time from the very moment the people were affected due to floods and landslides that occurred due to inclement weather. 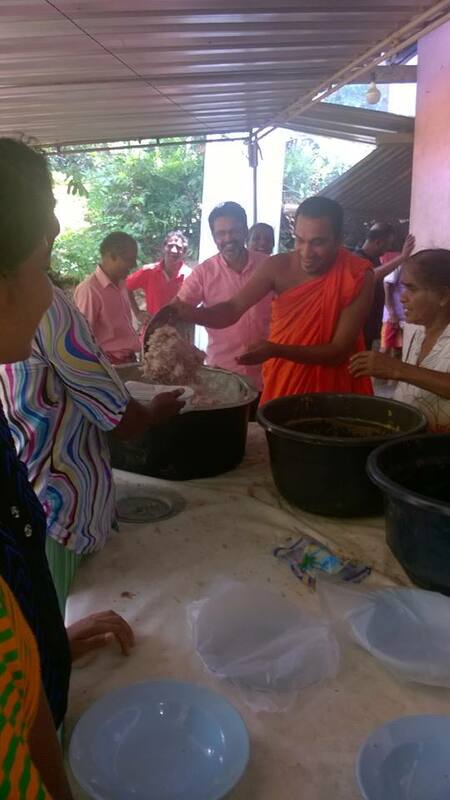 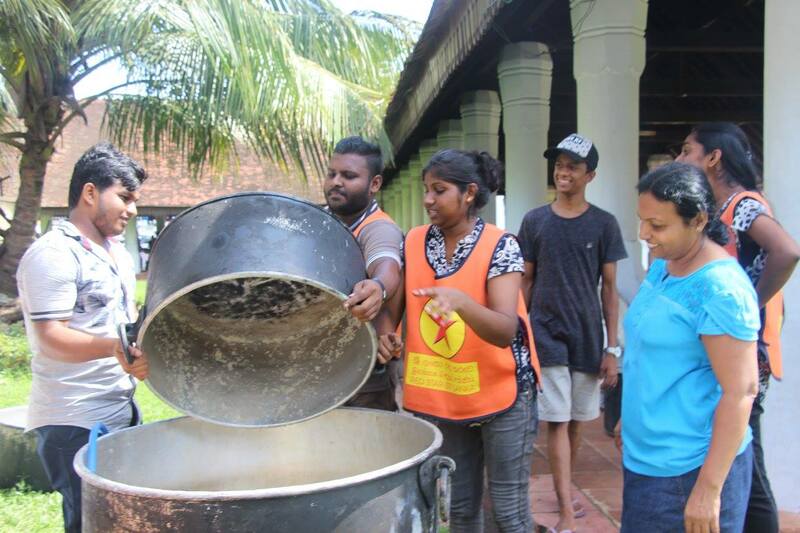 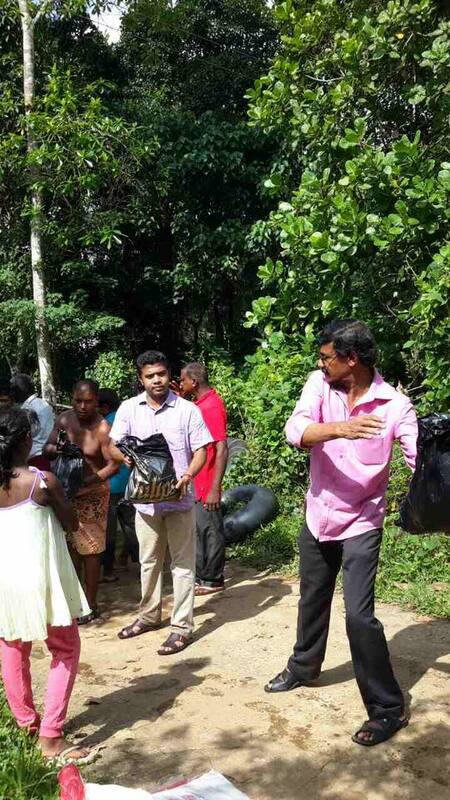 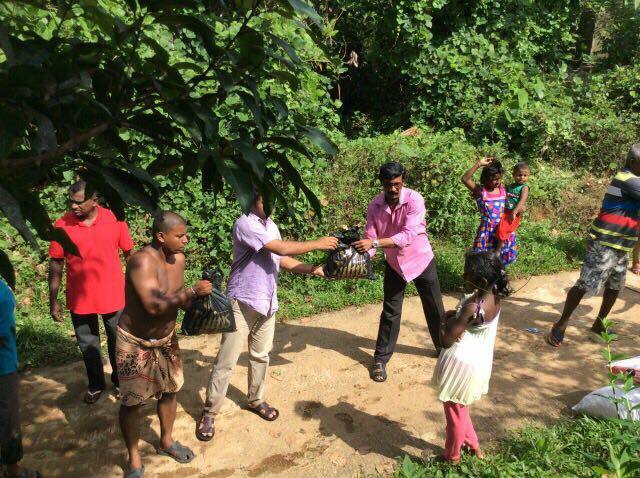 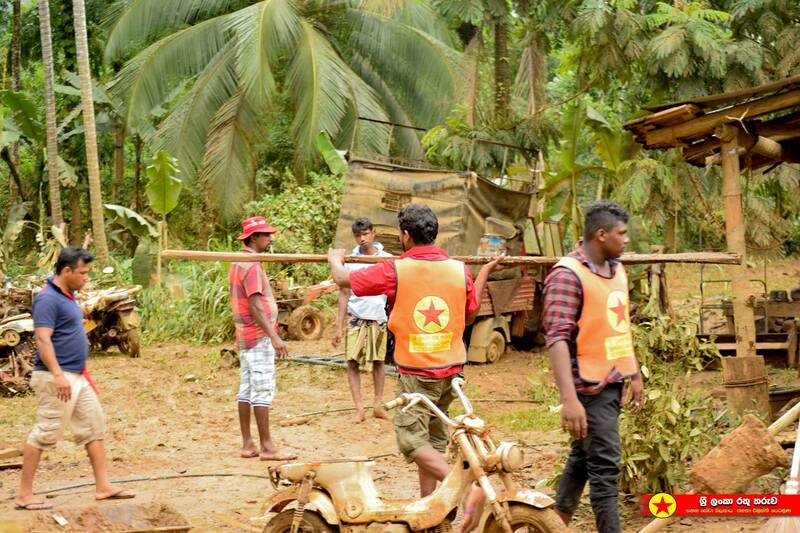 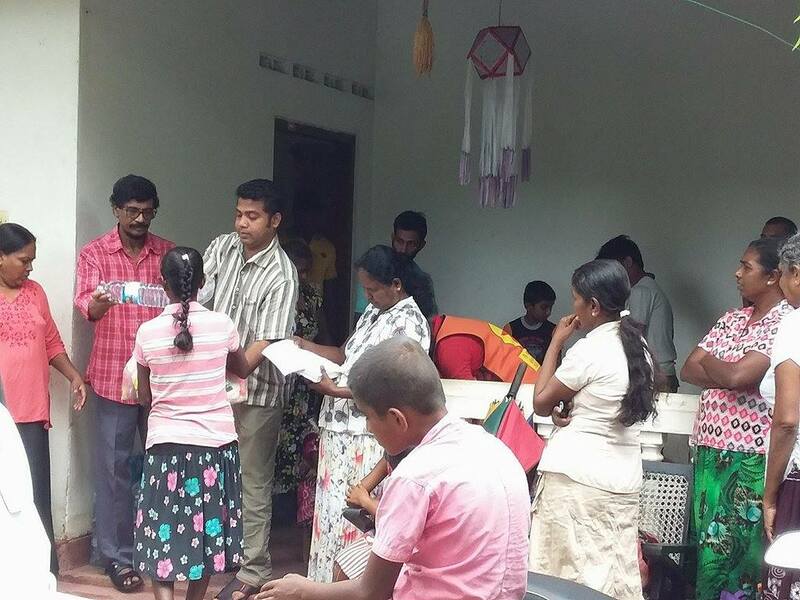 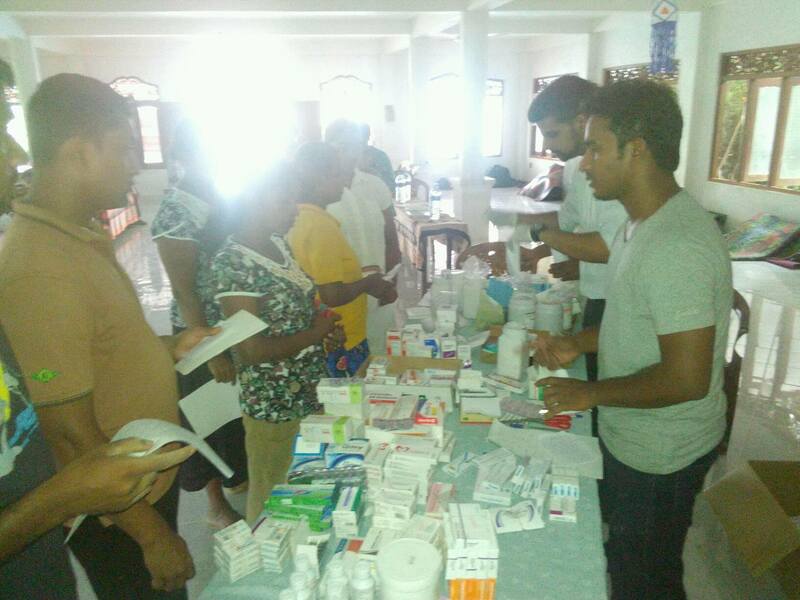 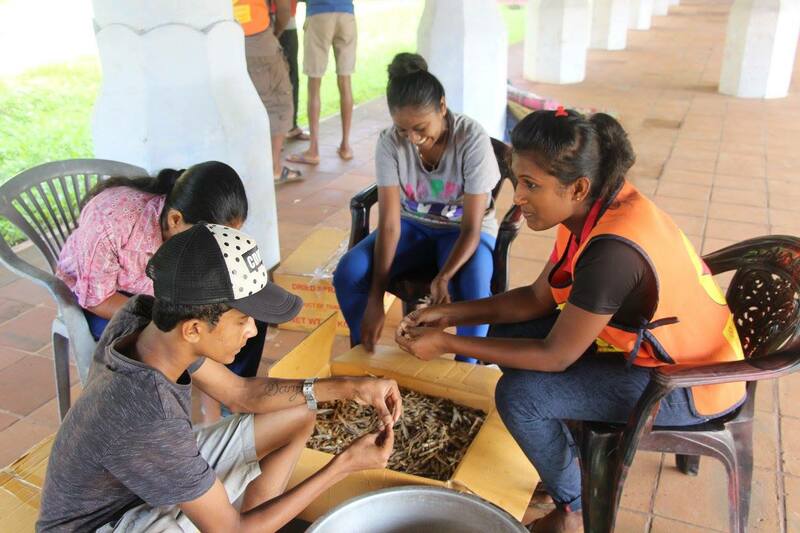 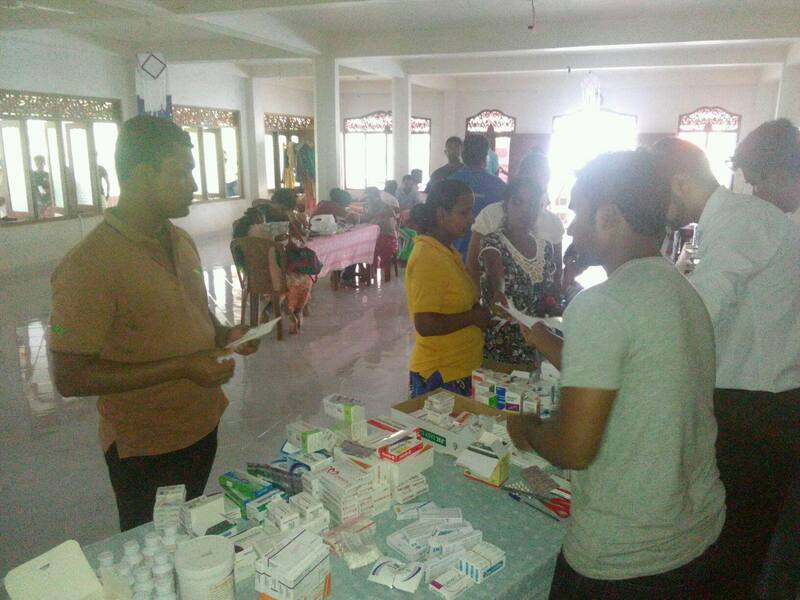 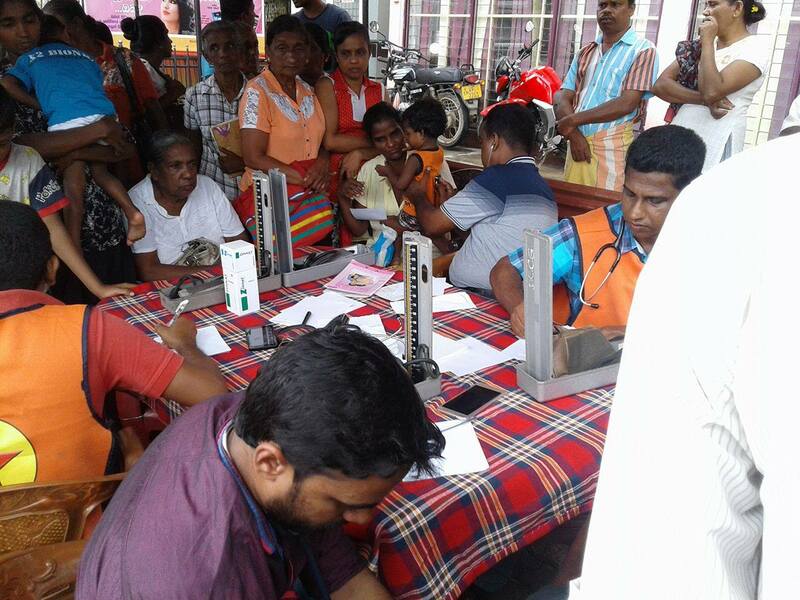 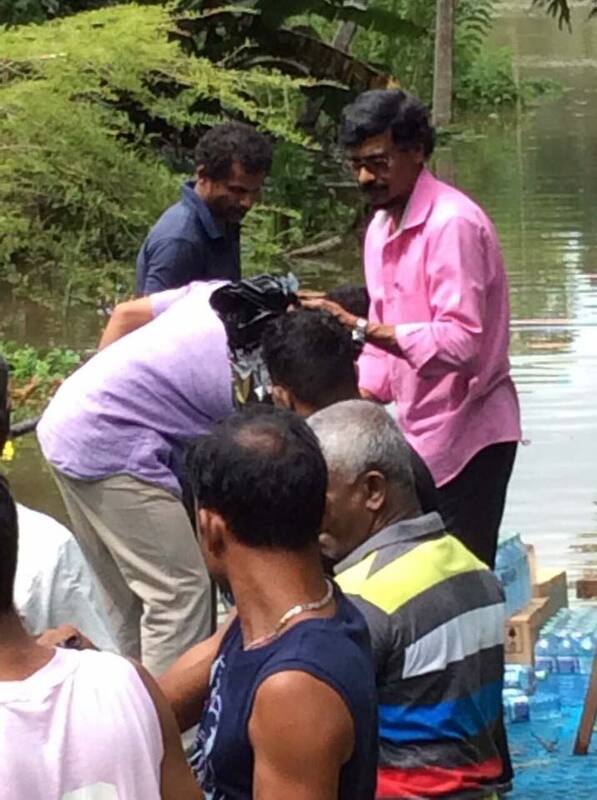 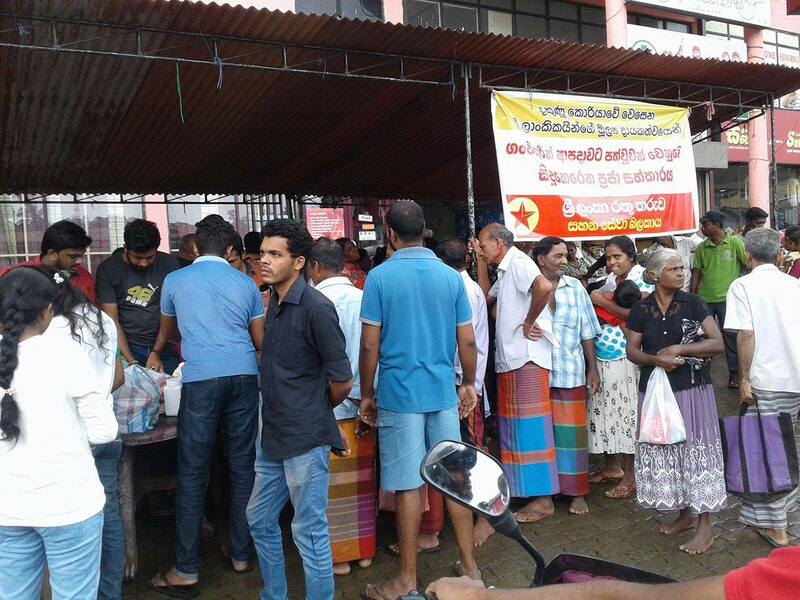 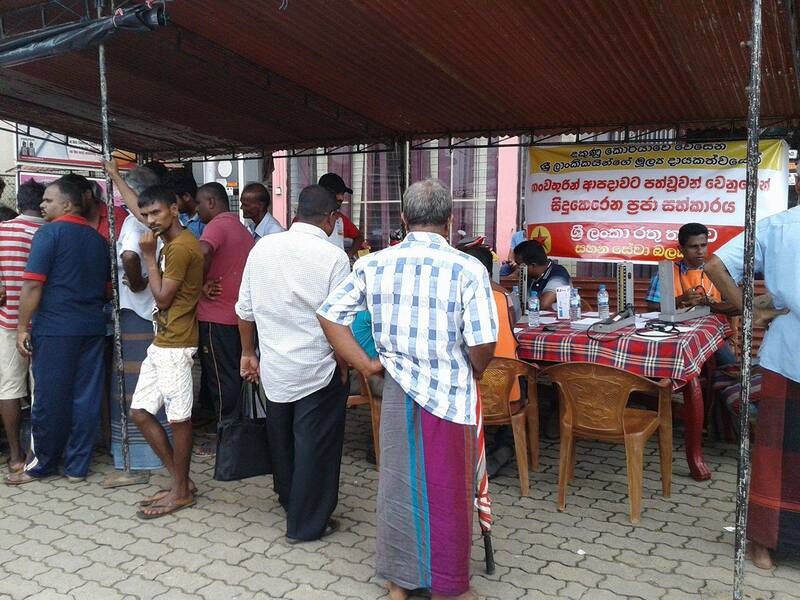 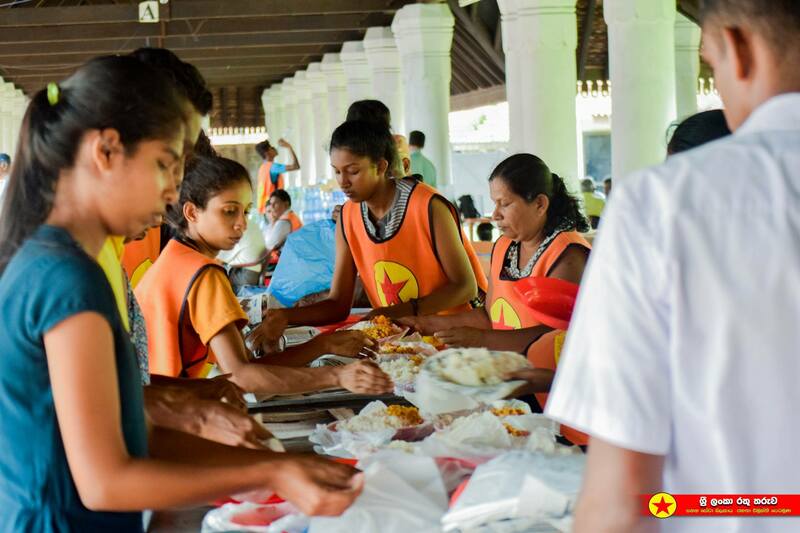 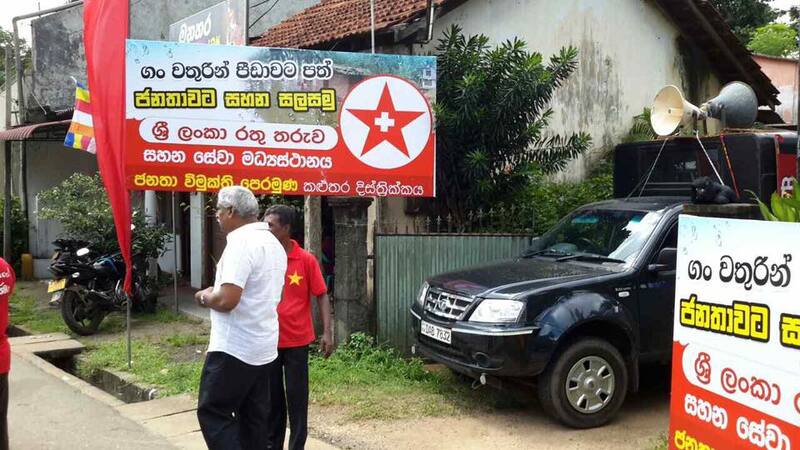 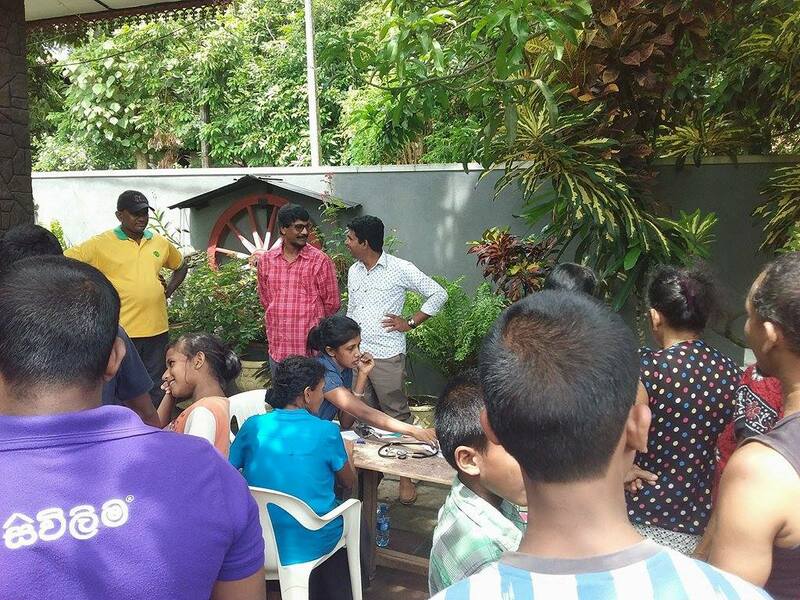 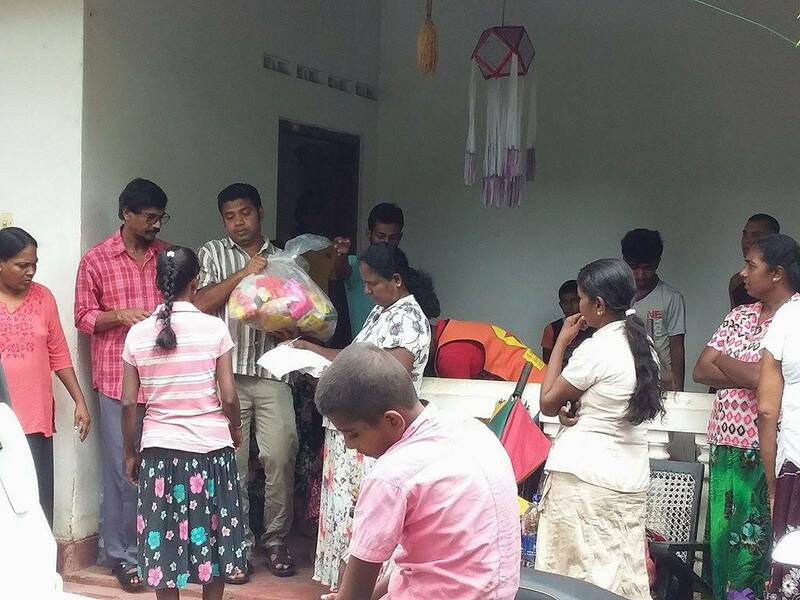 The leaders of the JVP also joined the members of ‘Red Star’ in relief work carried out in Galle, Matara, Rathnapura, Hambanthota, Kalutara and Gampaha districts. 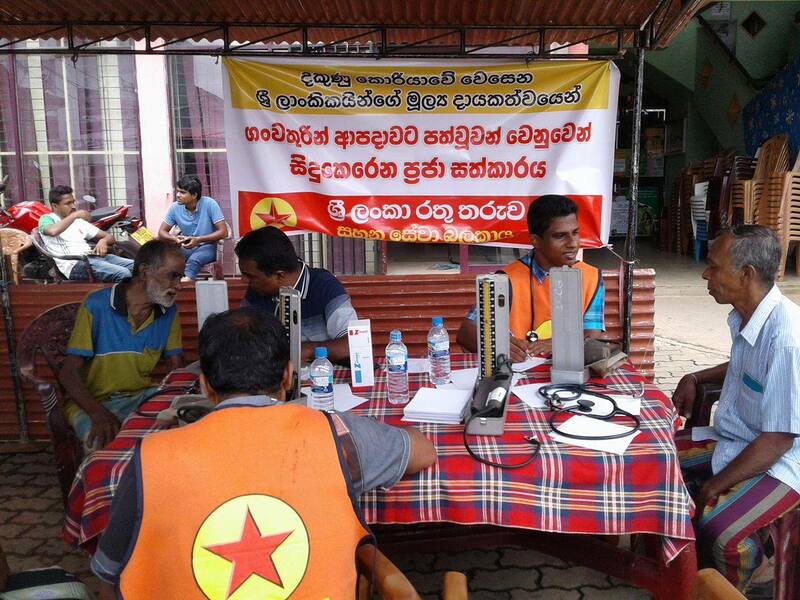 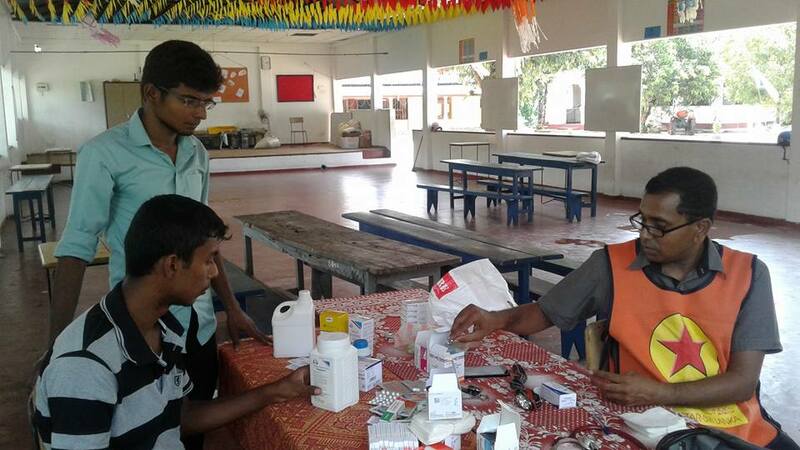 ‘Red Star’ distributed dry rations, cooked meals, water and also held medical clinics for the affected. 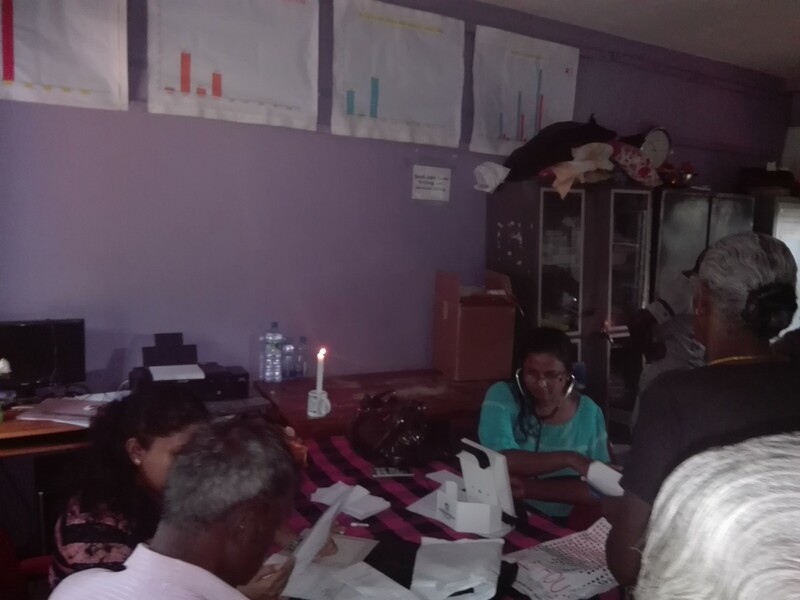 A deputy and state minister amendment concurrent with the cabinet reshuffle that took place on 22nd May is to be carried out soon say reports. 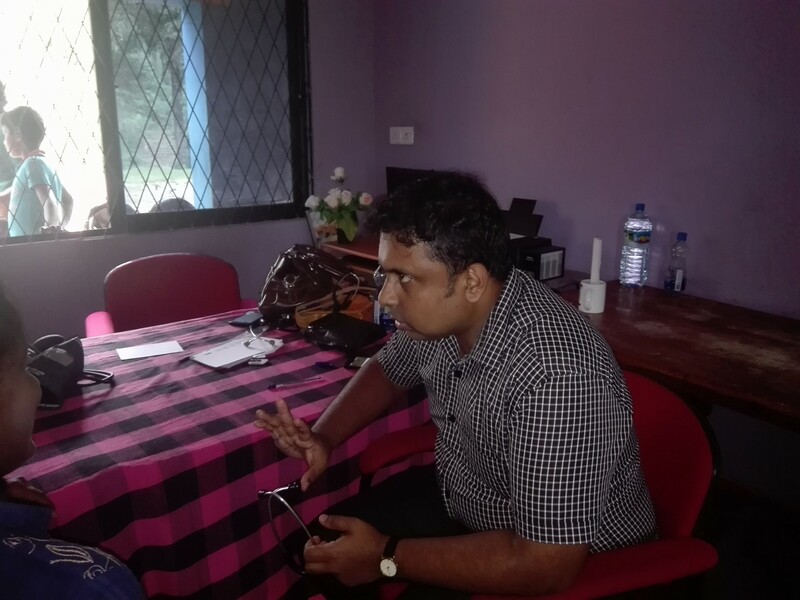 Accordingly, Mr. Eran Wickramaratne, the current Deputy Minister of “State Enterprise Development would be appointed as the Deputy Minister of Finance while Mrs. Anoma Gamage who is the current Deputy Minister of Petroleum and Petroleum Gas would be appointed as the Deputy Minister of Foreign Affairs. 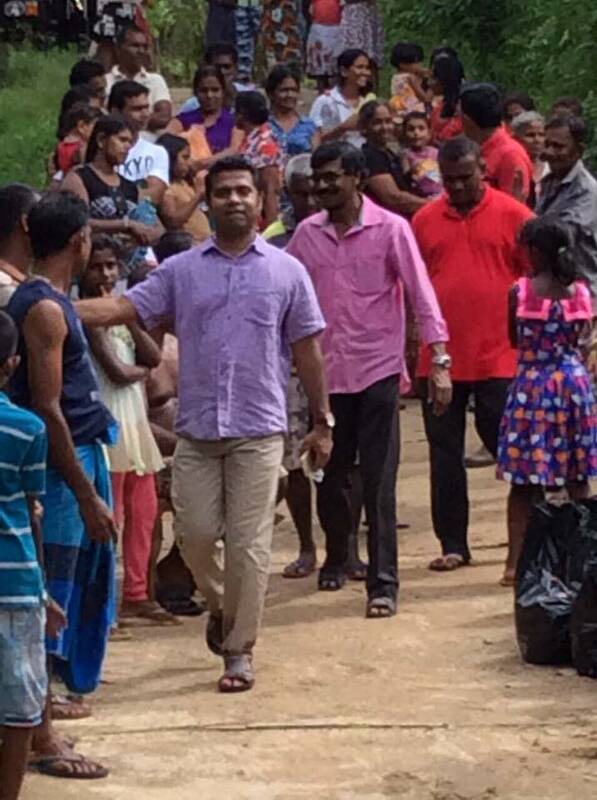 Mr. Harsha de Silva is to be appointed as the Deputy Minister of National Policies and Economic Affairs, a portfolio held by Prime Minister Ranil Wickremesinghe. 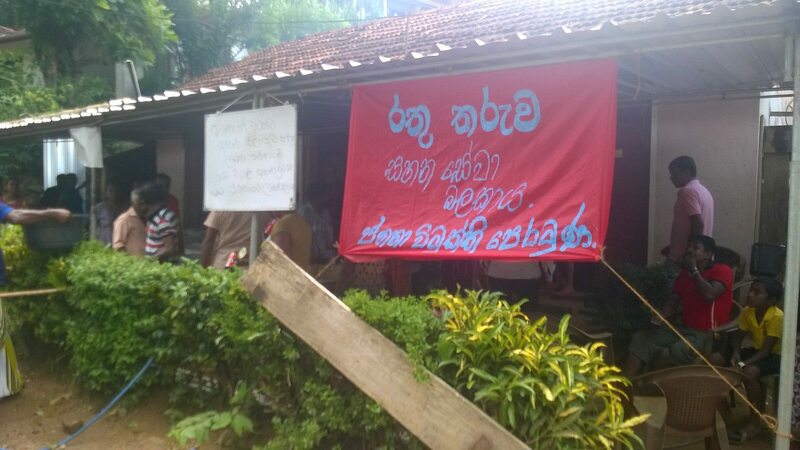 All schools in Colombo, Gampaha, Kalutara, Galle, Matara Hambanthota, Ratnapura, and Kegalle will be further closed announces the Ministry of Education. 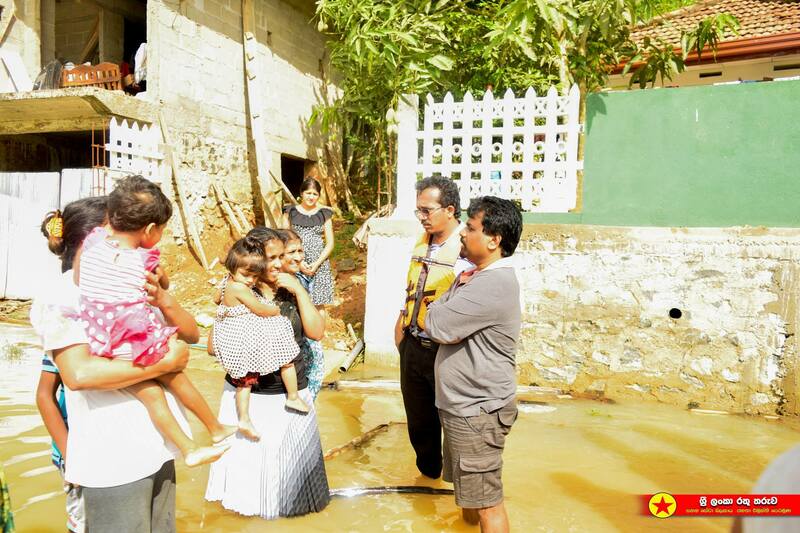 The schools will be closed till 2nd June due to flood situation. 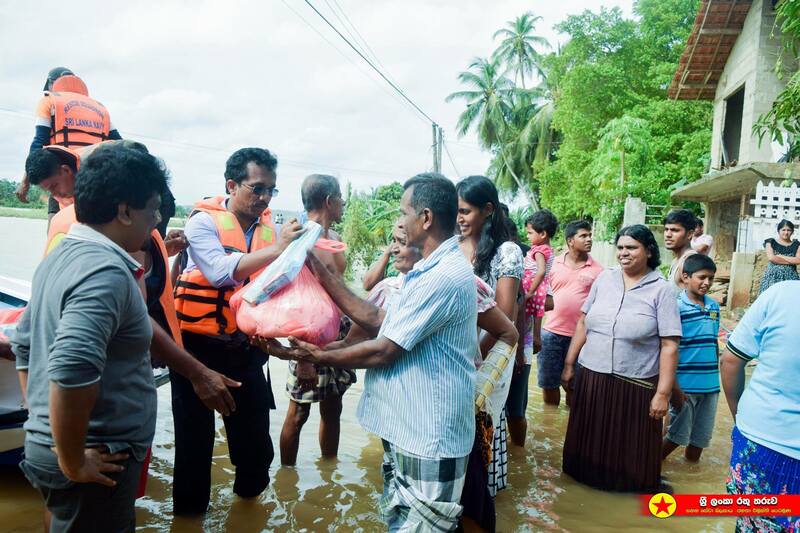 The JVP has decided to take measures to provide relief to the people affected due to the adverse weather from the salary fund of the JVP people’s representatives states the media unit of the JVP. 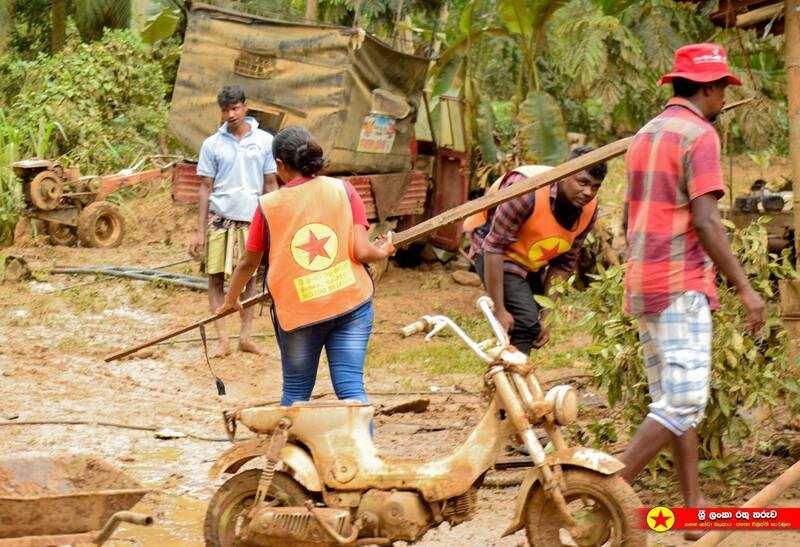 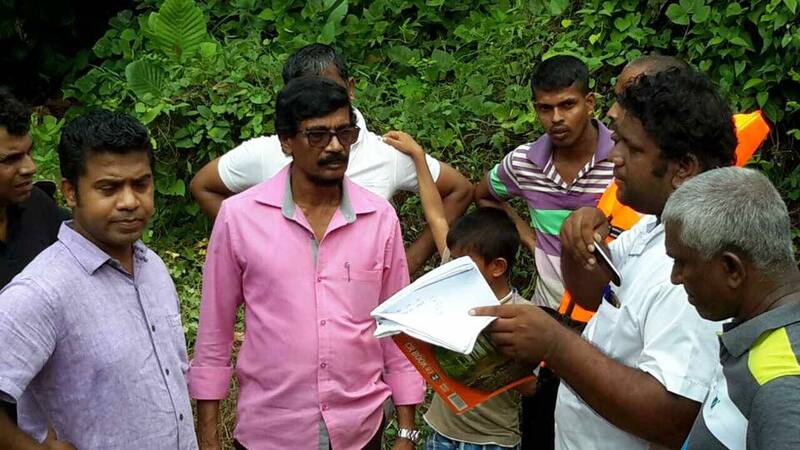 Already, the ‘Red Star’ Relief Service Brigade of the JVP is mediating in the task of bringing to normalcy the districts affected by the floods and earth-slips. 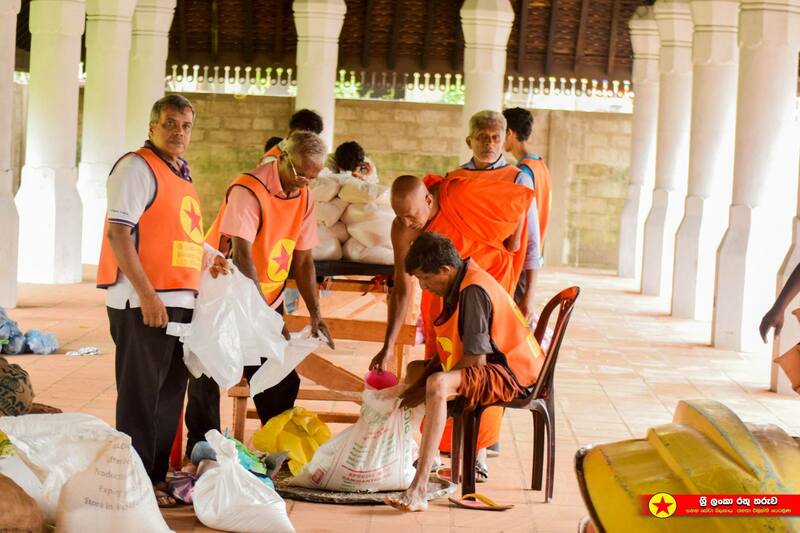 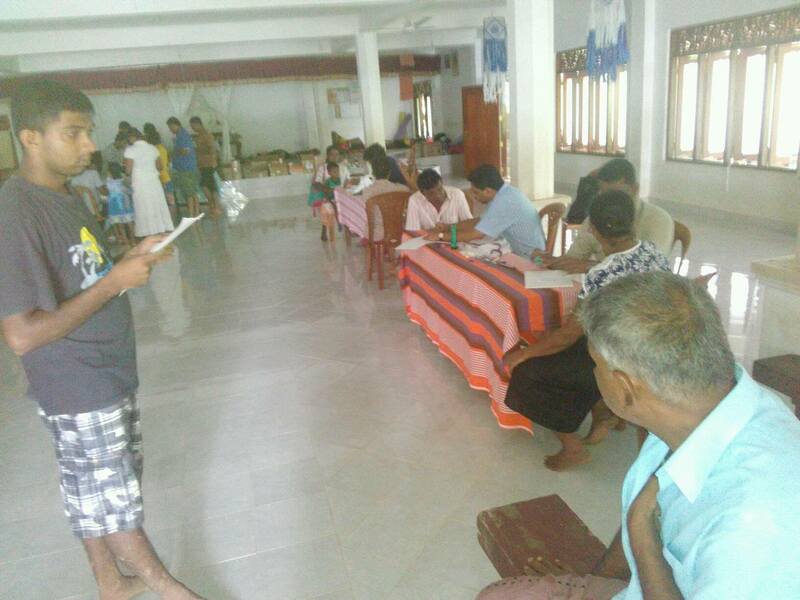 The exercise has been launched to provide relief to victims from floods and earth-slips in Kalutara, Galle, Matara and Rathnapura districts. 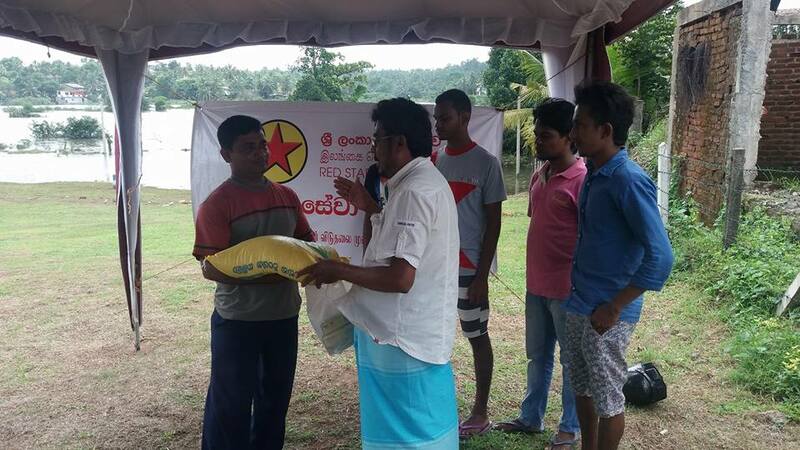 The JVP has appealed to the public to donate goods to be distributed to the affected and hand them over at ‘Red Star’ centers set up in relevant districts. 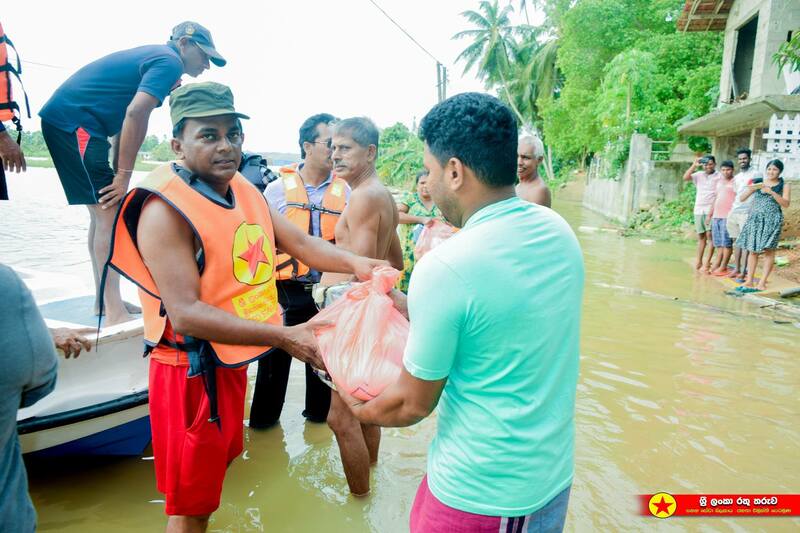 The number of deaths caused by floods and earth slips in the island has risen to 164 states Disaster Management Center (DMC). 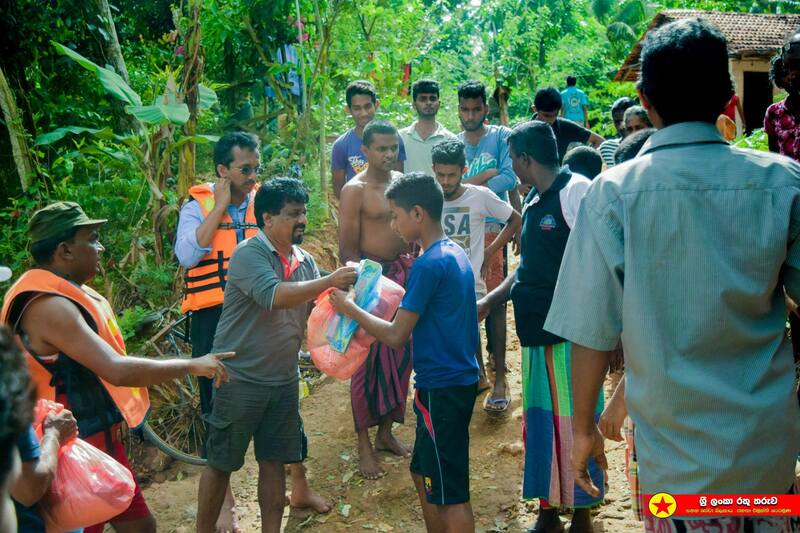 104 people are still missing and 88 have been injured. 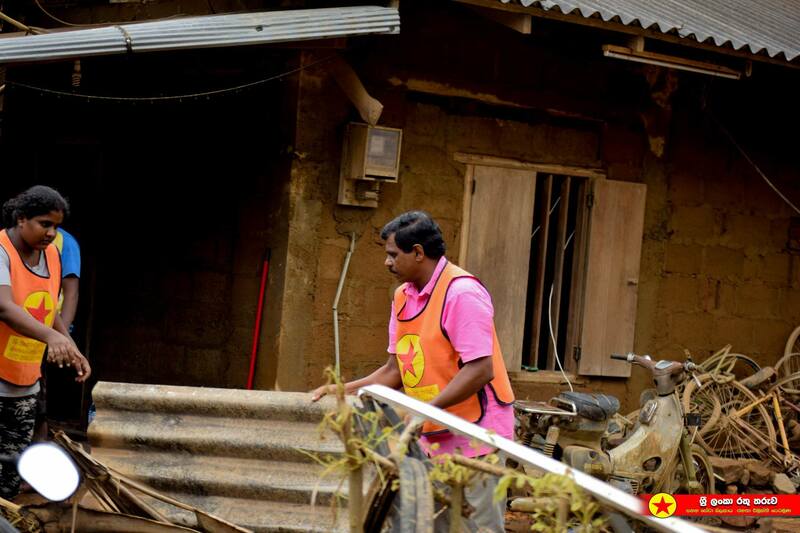 412 houses have been completely damaged while 4266 houses have been partly damaged. 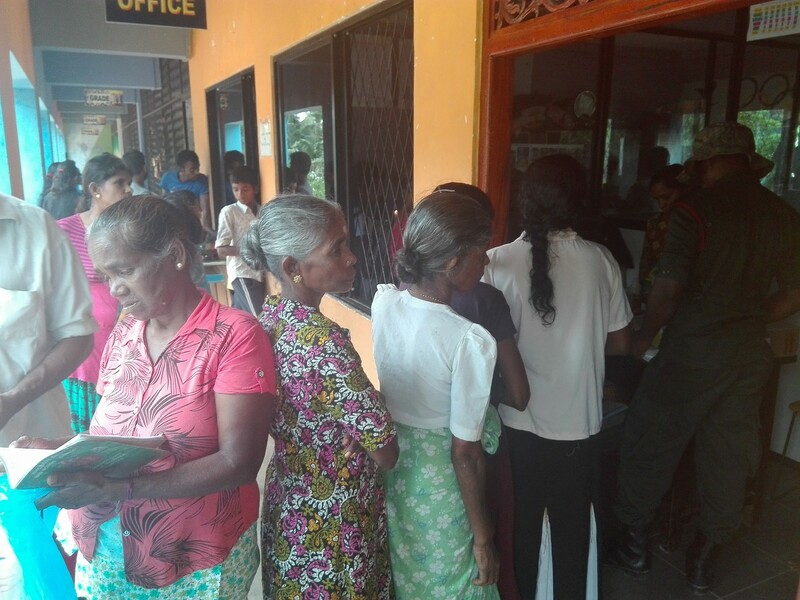 471,542 people belonging to 128,586 families have been misplaced states DMC and adds that 75,236 people have been temporarily settled in 336 safe places. 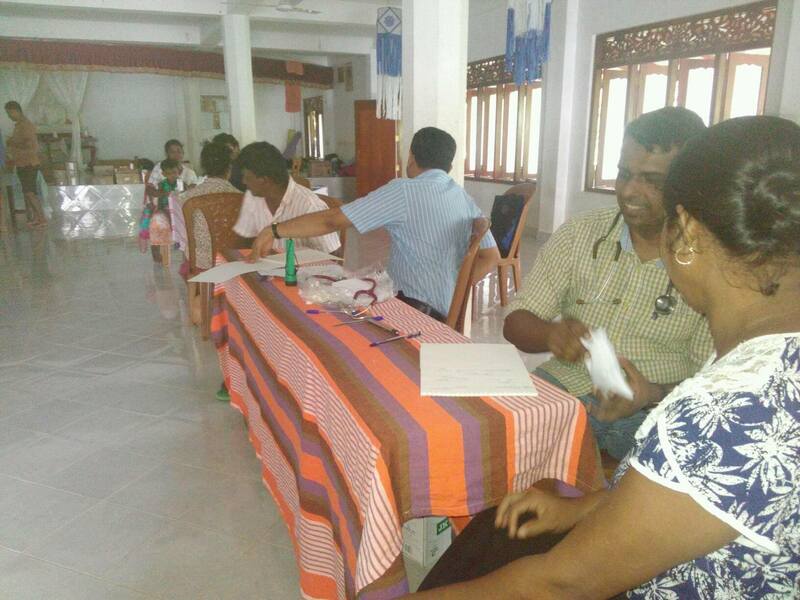 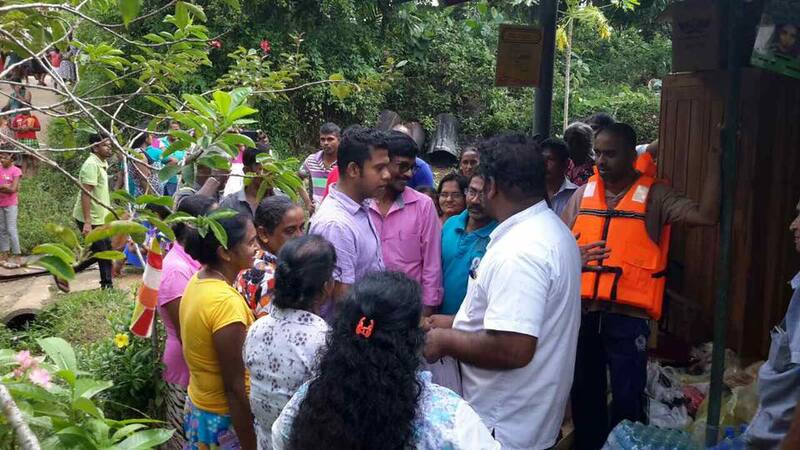 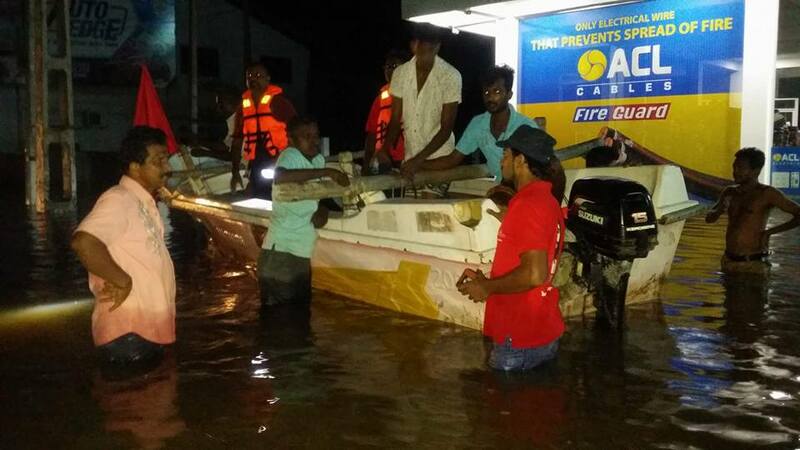 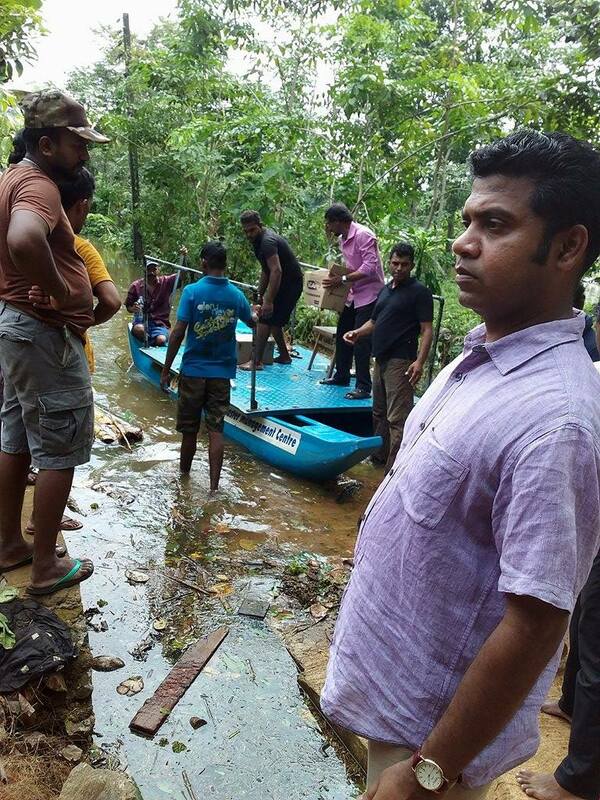 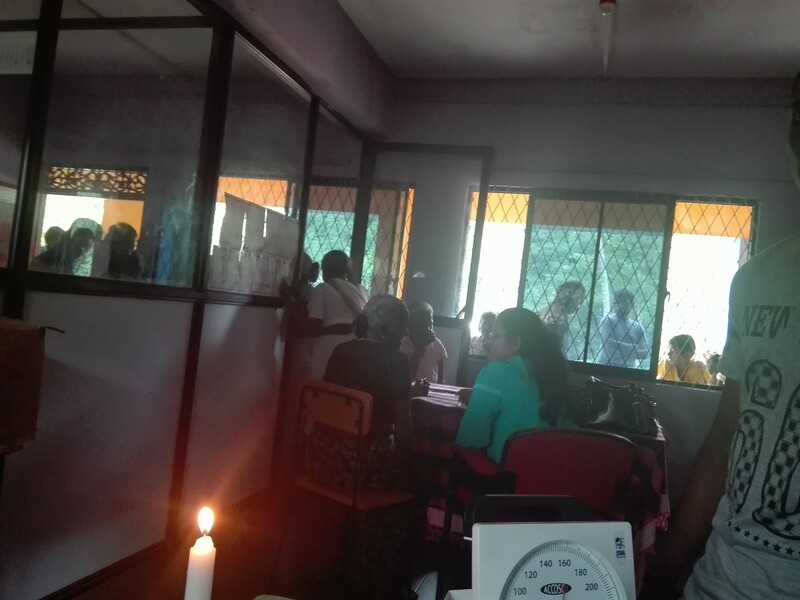 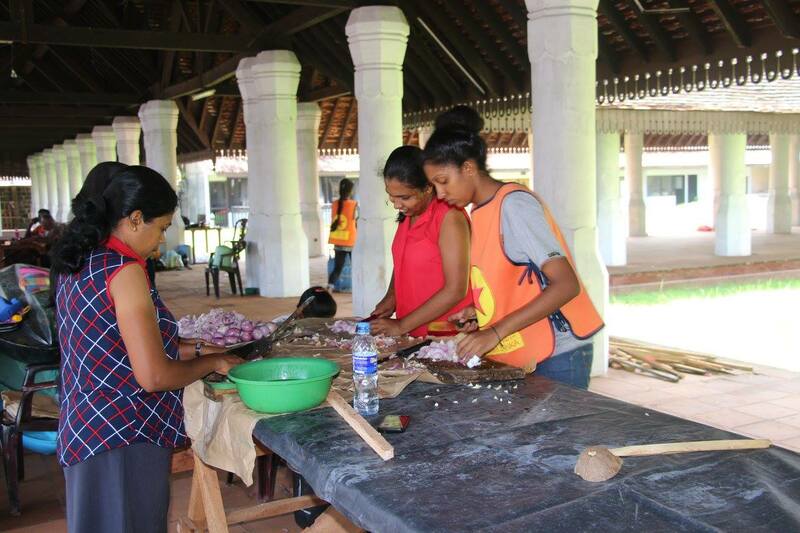 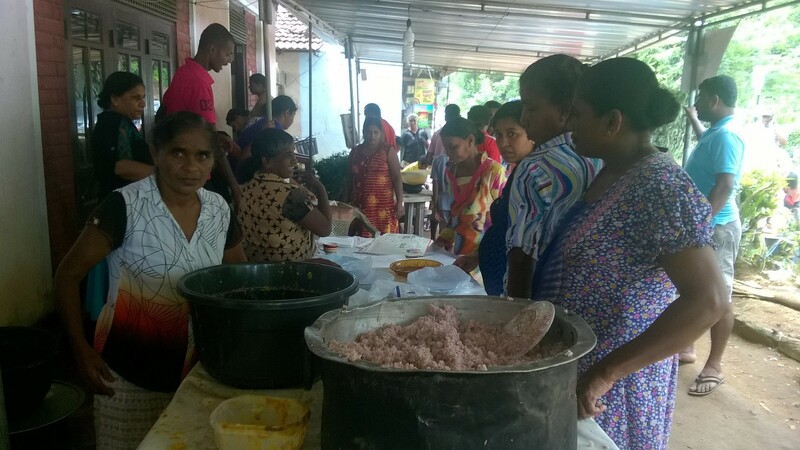 The most that have been affected are from Matara District where 131,775 people have been affected. 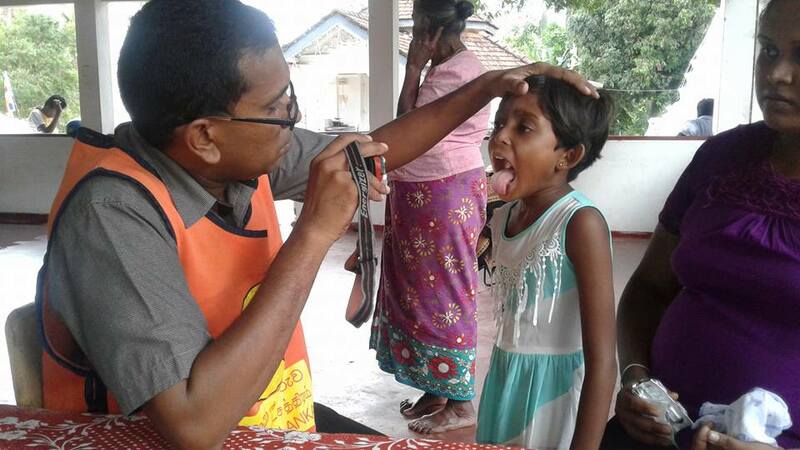 The most number of deaths which is 71 is reported from Rathnapura district. 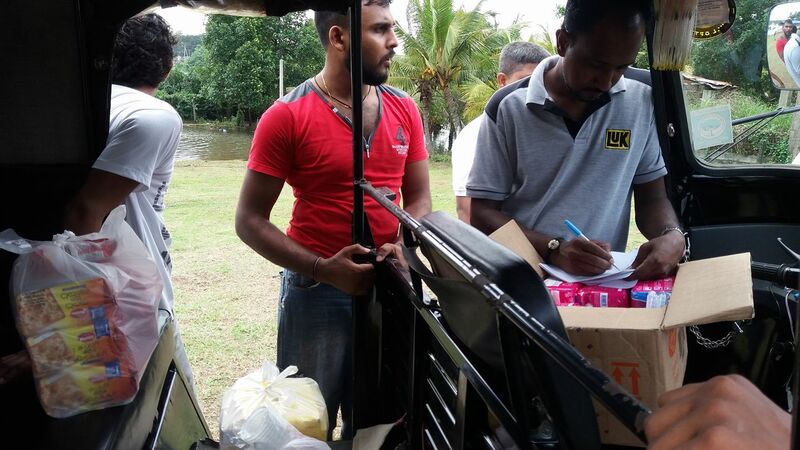 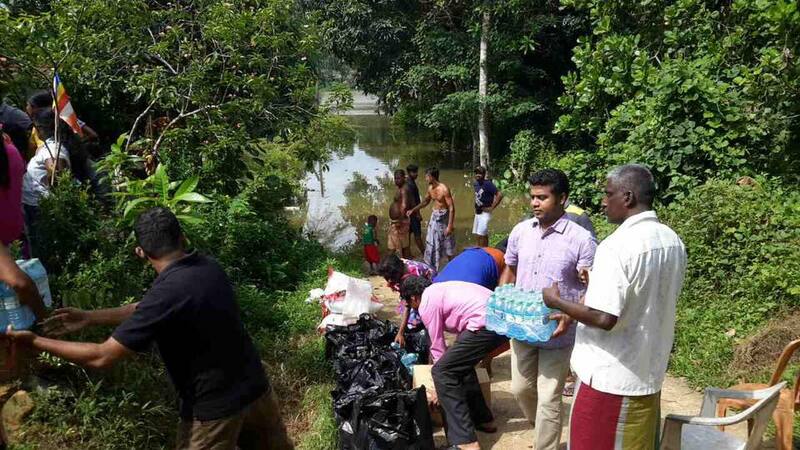 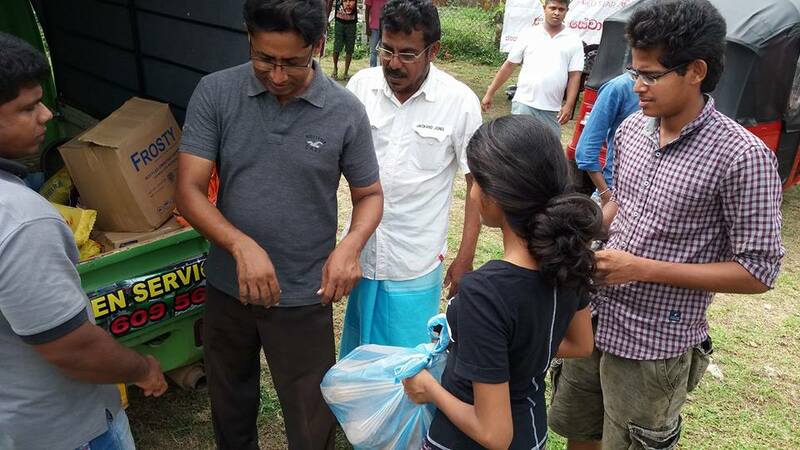 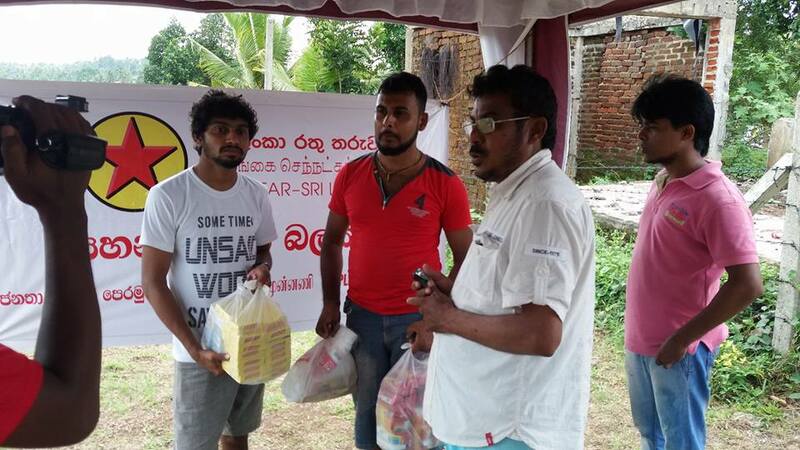 The food and other items donated by masses to ‘Red Star’ Relief Service Brigade of the JVP to be distributed to flood and earth slip victims are being distributed now. 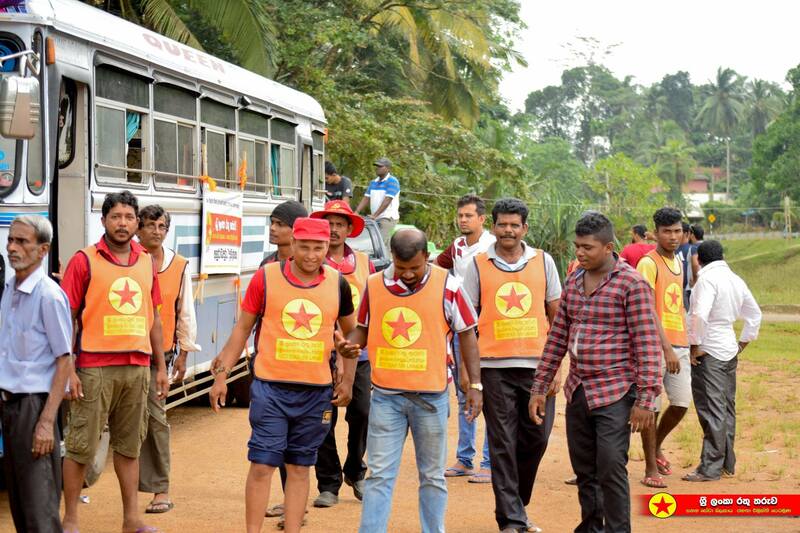 ‘Red Star’ was engaged in rescuing people stranded due to floods and many people had to be rescued from very remote places which were not accessible and with much effort. 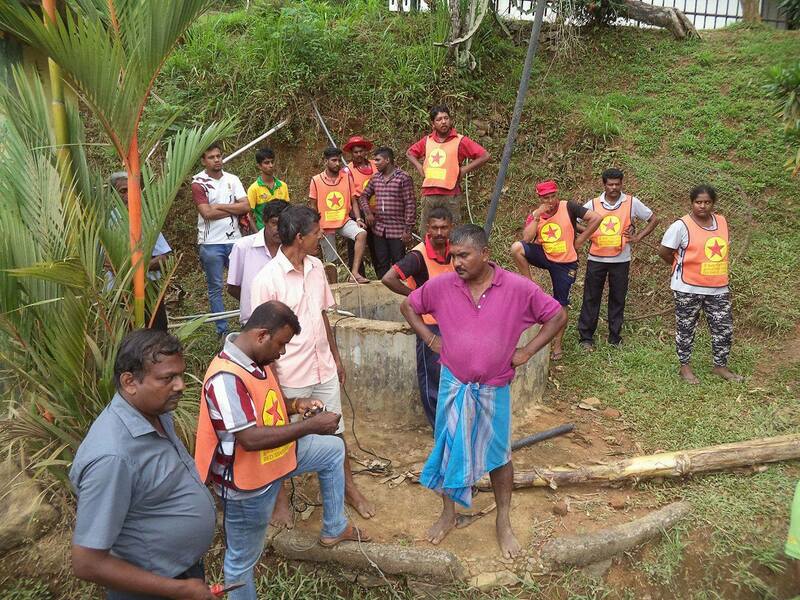 The number of deaths reported in floods and landslides has increased to 151 while the number of missing persons gone up to 112 states the Disaster Management Centre (DMC). 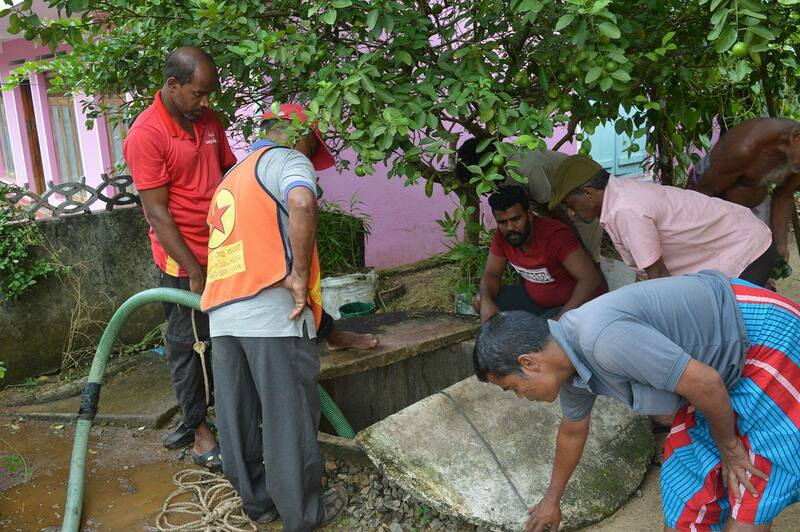 Adverse weather condition has left 52 people injured and the total number of people affected by the inclement weather is 442,299 belonging to 114,124 families stated DMC in its weather report for today (28th). 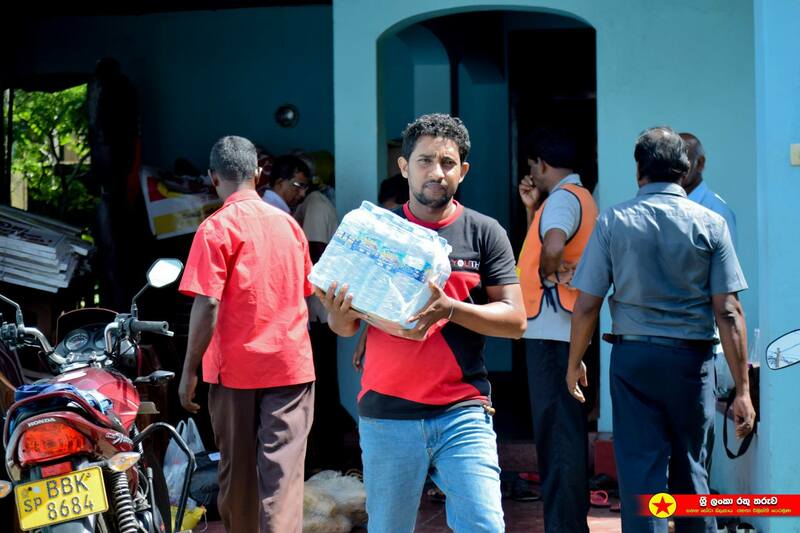 Meanwhile, China has stated it would donate relief items worth of US$ 2.2 million. 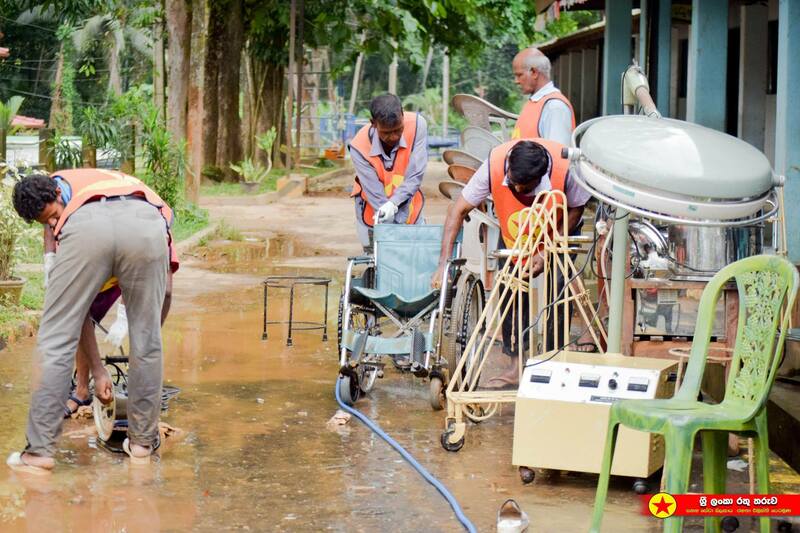 It is stated that China will dispatch tents, blankets, sheets, rain boots and life jackets by a chartered flight soon. 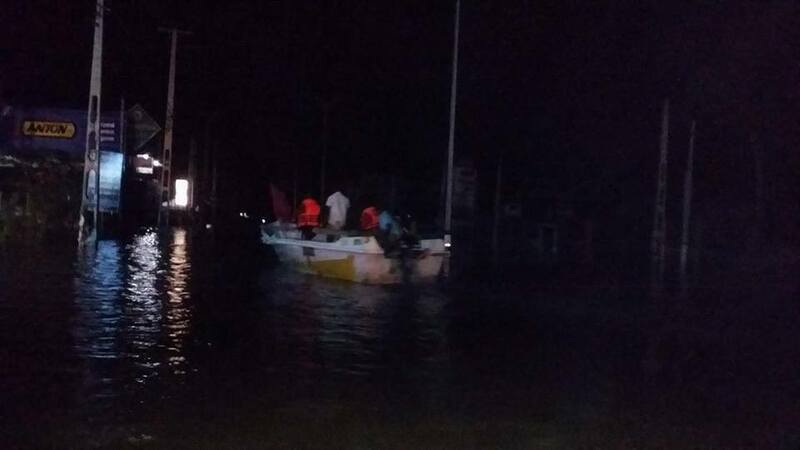 Chinese President Xi Jinping and Premier Li Keqiang have extended sympathy and condolences to the affected people. 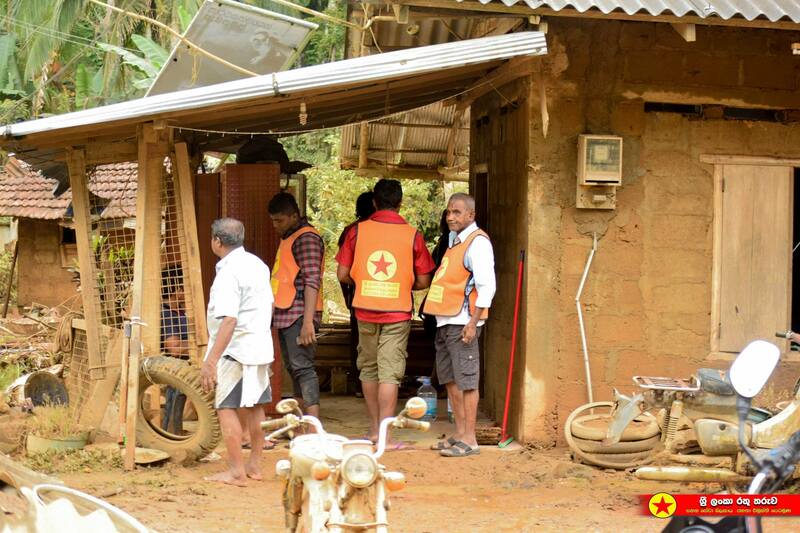 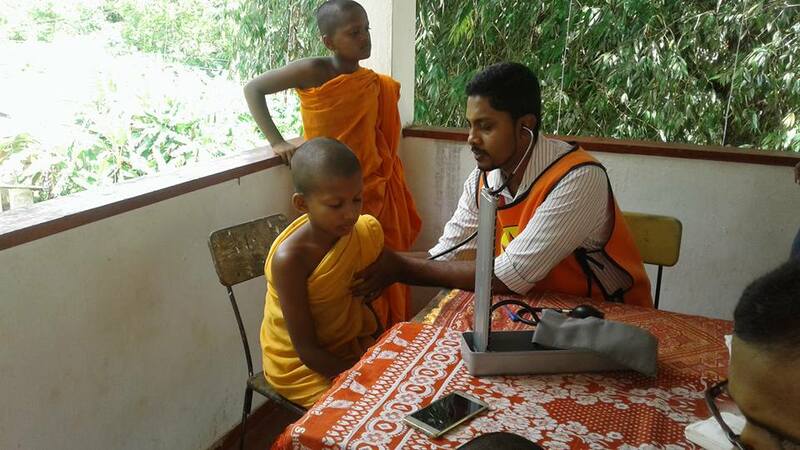 Chinese Red Cross Society has also granted US$ 100,000 emergency humanitarian cash assistance to the Sri Lanka Red Cross Society for their disaster relief efforts.